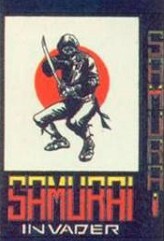 You control a fearsome Samurai warrior whose aim it to prevent the Alien invaders from gaming control of the earth. To help you to thu talk, you are armed with shuriken. fearsome oriental throwing starts.